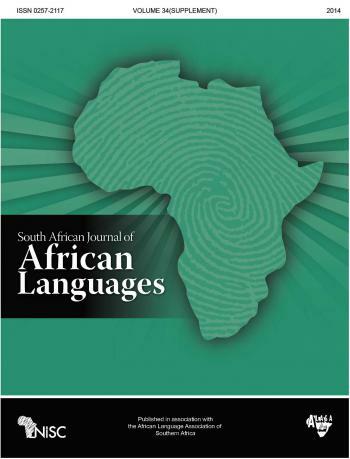 The South African Journal of African Languages is a peer-reviewed research journal devoted to the advancement of African (Bantu) and Khoe-San languages and literatures. Papers, book reviews and polemic contributions of a scientific nature in any of the core areas of linguistics, both theoretical (e.g. syntax, phonology, semantics) and applied (e.g. sociolinguistic topics, language teaching, language policy), and literature, based on original research in the context of the African languages, are welcome. The journal is the official mouthpiece of the African Language Association of Southern Africa (ALASA), established in 1979. The South African Journal of African Languages (SAJAL) publishes only original articles, book reviews and polemic contributions of a scholarly nature pertaining to African (Bantu) and the Khoe-San languages and literatures. Contributions may be in any of the 11 official languages of South Africa and should not exceed 7 500 words, although review articles of up to 12 000 words will be considered. Articles in languages other than English must be accompanied by an abstract in English of up to 200 words as well as an extended English summary of 500–1000 words. However, for authors who prefer to translate their entire article into English, we will make the original African language manuscript also available online, as supplementary information, linked to the published English-language version. Editorial policy: Submission of a manuscript implies that the material has not previously been published, nor is being considered for publication elsewhere. Submission of a manuscript will be taken to imply agreement to assign copyright of the final published material to the publishers, NISC (Pty) Ltd. Contributions are accepted on the understanding that the authors have the authority for publication and all co-authors have approved the publication of the material. In addition, contributions must conform to the principles outlined in Ethical considerations in research publication available for download below. The journal has a policy of anonymous peer review and all articles will be submitted to at least two referees. The Editor reserves the right to revise the final draft of the manuscript to conform to editorial requirements. Manuscripts that are not properly edited will be returned to the author. All articles should be submitted by e-mail as both MS Word and PDF files to the Editor-in-Chief, Professor IM Kosch, at koschim@unisa.ac.za. Presentation: Manuscripts should be prepared in MS Word. The heading and the texts should be presented in 12-point Arial or Calibri font. The text should use 1.5 line spacing, with no extra line spacing, and should not include text columns, creative formatting or additional fonts. IPA characters should be in the Doulos SIL Unicode font or Charis SIL, which is available for download here. Headings should be formatted in sentence case – primary headings should be presented in bold, secondary headings in bold and italics, and tertiary headings in italics. Avoid footnotes, although endnotes may be used sparingly. The layout should conform to the following sequence: title page with title; author’s name(s); address(es); e-mail address(es); the name and address of the author to whom correspondence should be addressed; and the abstract. The article itself should commence on a new page and pages should be numbered. A recent issue of the Journal should be consulted for typographical conventions. Title: This should be concise, but sufficiently informative for use in title lists, or in coding for information storage and retrieval. The title should not exceed 12 words. Author(s): Should an author’s address have changed since the research was carried out, the new address must be given as a footnote. Abstract: All articles must be accompanied by an abstract of no more than 200 words in the language of the article. Articles in languages other than English must also be accompanied by an English abstract (maximum 200 words). The abstracts should indicate the content of the article factually and concisely and should be suitable for separate publication andadequate for indexing. Avoid including references in the abstract. References: References in the text should be cited as follows ‘Poulos and Msimang (1998) stated …’ or ‘… (Poulos & Msimang, 1998)’, when giving a reference simply as authority for a statement. In works by more than two authors the surname of the first author must be followed by et al. such as, ‘Prinsloo et al. (2004: 218) cite the following examples ...’ Page references to a book in the text should be given as ‘… (Brown, 1999: 40–51)’ or ‘Poulos and Msimang (1998: 420) suggest…’. Only those publications referred to or quoted in the text should be included in the list of references. The sources must be presented alphabetically according to the authors’ surnames and chronologically under each author, with a, b, c, etc. 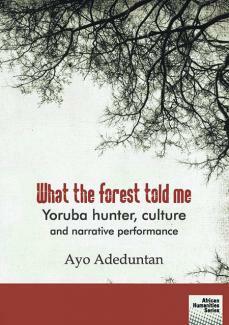 when more than one reference per year from the same author(s) is involved, such as, 2005a; 2005b; 2005c. Examples of appropriate presentation style for different reference types are given below. 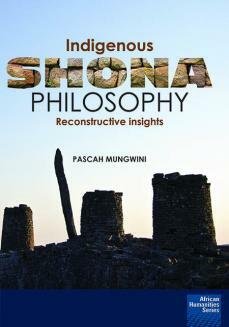 Book – Poulos G, Msimang CT. 1998. A linguistic analysis of Zulu. Pretoria: Via Afrika. 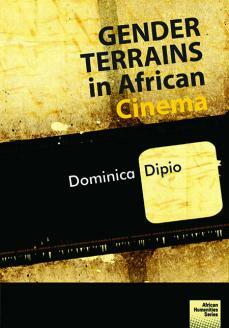 Chapter in a book – Furman N. 1985. The politics of language: Beyond the gender principle. In: Green G, Kahn C (eds), Making a difference. London: Methuen and Co. pp 59–79. 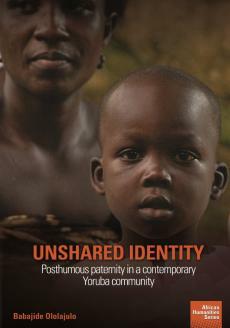 Journal article – Mulaudzi PA, Poulos G. 2003. The Musanda variety: The language of the ‘ruling community’ among the Venda people. South African Journal of African Languages 23(1): 37–45. Dissertation/thesis – Roux JC. 1979. Labialization in Sesotho: The role of phonetic data in phonological analyses. PhD thesis. Stellenbosch University, South Africa. Newspaper article – Smith J. 2000. The Blouberg mountains: Home of the Bahananwa. Pretoria News. 5 May 2000: 34. Online publication – World Health Organisation. 2003. Fact Sheet No. 134: Traditional medicine. Available at: www.who.int/media-centre/factsheets/fsl34/en/ (revised in May 2003) [Accessed 23 July 2005]. Conference presentation – Mazrui AM. 1998. ‘The English language in the post-Cold War era: Africa in a comparative context.’ Focus address delivered at the 5th Conference of the International Association of World Englishes, University of Illinois: 5–7 November 1998. Please also consult our guide Reference exemplars for authors available for download below. Examples: Examples must be numbered consecutively as they appear in the text. The numbers should be parenthesised and placed next to the left-hand margin. Alphabetical numbering may be used in addition, where examples need to be contrasted or compared with each other. Note that the translated text is between single quotes. Quotations: Short quotations in English that form part of a sentence appear between single quotation marks. Words in other languages must appear in normal print (not italics) and between single quotation marks. Longer quotations in English must be indented on both sides without any quotation marks. Quotations in other languages must appear in italics and be followed by an English translation in normal print, between single quotation marks. A quotation within a quotation should appear in double quotation marks. Tables: Accompanying tables should be assigned chronological Arabic numerals and have short descriptive titles. Tables may include up to five horizontal lines but no vertical lines. Figures: Figures must be numbered chronologically as referred to in the text using Arabic numerals. 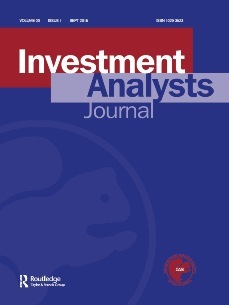 Authors should ensure that their figures conform to the style of the journal. Pay particular attention to line thickness, font and figure proportions, taking into account the Journal’s printed page size. Costs of redrawing figures may be charged. Please refer to Figure guidelines for authors: format, style and technical considerations available for download below. For digital photographs or scanned images the resolution should be at least 300 dpi for colour or greyscale artwork and a minimum of 600 dpi for black line drawings. These can be saved (in order of preference) in PSD, JPEG, PDF or EPS format. Graphs, charts or maps can be saved in AI, PDF or EPS format. MS Office files (Word, Powerpoint, Excel) are also acceptable but DO NOT EMBED Excel graphs or Powerpoint slides in a MS Word document, rather send the original Excel or Powerpoint files. More detailed technical information is given in Figure Guidelines for Authors. Electronic reprints: Corresponding authors will receive an electronic copy of their final printed article for reprint use. Page charges: A page charge of ZAR300 per page (for African contributors, excl. VAT for South Africa) or USD50 (for other contributors) is levied by NISC. Colour pages can be included by arrangement but will be charged at ZAR900/USD150 per page. Before final acceptance of articles authors must provide a written undertaking to pay the prescribed page charges. Authors who do not receive subsidies from their institutions may apply to the Editor to have their page charges waived. 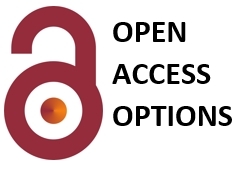 Open access: South African Journal of African Languages is a hybrid journal which allows authors the option of publishing their article Open Access for a set fee. Further details are given on the Open Access at NISC page. Enter your details below to subscribe to South African Journal of African Languages. Have a question about South African Journal of African Languages? Call us on +27(0)46 622 9698 or submit an enquiry using the form.